Born in Sydney, Australia in 1969, Velia began her painting career age at age nine and came from a painting family. She was largely self-taught, although she had many years of guidance from her mother Anita Newman - a well-known romantic Impressionist artist. Influenced by her artistic parents and grandparents, Velia began painting with watercolour and oils at the age of nine. She then experimented with ceramics and other art mediums and discovered her love of acrylic paint, developing her own unique and exciting style that has reinvented the rules for acrylic media. A major part of Newman's childhood was the beauty of the natural bush-land, beaches, surf, water and boating activities of the famous Northern Beaches of Sydney. Today these influences are portrayed in the brightness and vivid colour of Velia's paintings. As a full-time artist for the past 12 years, Velia’s works have gained much acclaim and are represented in many private collections with nation-wide recognition. 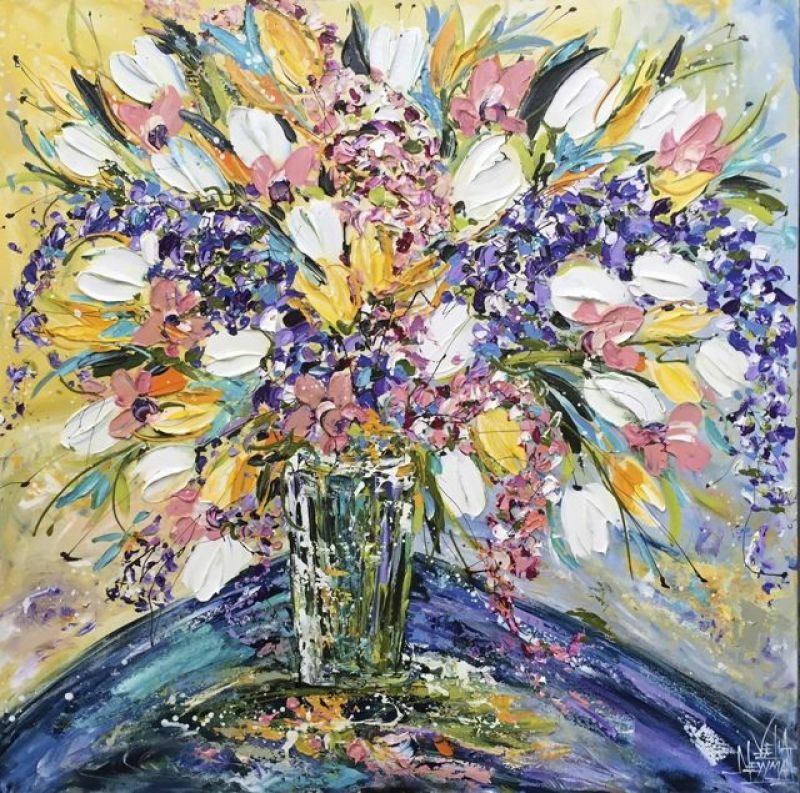 Velia now paints from her studio situated on Queensland’s beautiful Gold Coast, Australia. The artist has been featured in exhibitions with recognized Australian artists such as David Boyd, Geoff Dyer (Archibald Prize winner) and many others. She was also represented in numerous galleries throughout Australia, Asia, the United Kingdom and the United States. Velia Newman's no-hold-barred approach to brilliant colour and substantial texturing makes her acrylic painting style singular and extraordinary. At the forefront of changing boundaries with her use of acrylic paints, Velia captures childlike excitement and simplicity in her work along with the thrill of bold colours and cheerful subject matter - perfect to express her love of the indigenous beauty of Australian beaches, bush and garden flowers. 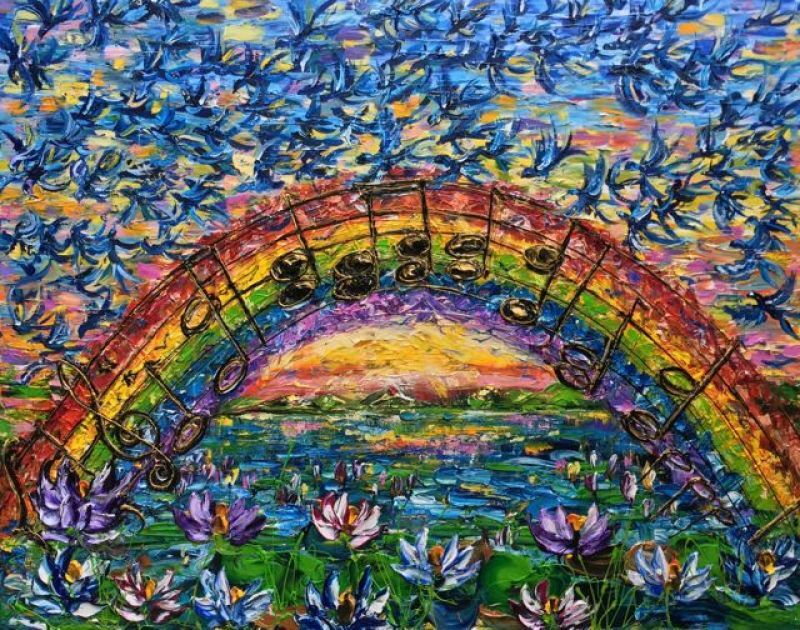 Her most beloved tool for painting is the palette knife, and she employs several innovative paint application techniques with this and other tools. Using thick layering in pure acrylic in her technique of abstraction, she creates three-dimensional representations of what she sees to be the 'essence of nature', thus re-inventing the rules of acrylic media today.